Posted on 19/04/2014 by U.N.
Victoria, Anne, Bess and Mary. Tata Steel’s integrated steel plant in Scunthorpe, GB was founded in 1864 under the name Frodingham Iron Works. Iron was produced from local iron ore deposits since 1865. A Thomas converter steel making shop started it’s production in 1890. In 1912 Frodingham took over the nearby Appleby Iron Co. (founded in 1874) to form the Appleby Frodingham Steel Co. This enterprise became part of the United Steel Companies in 1937. In 1939 two new large volume blast furnaces were installed (Mary & Bess). In 1954 Anne and Victoria were added to complete the “Four Queens”. In 1967 the United Steel Companies became part of the newly founded British Steel Corporation. 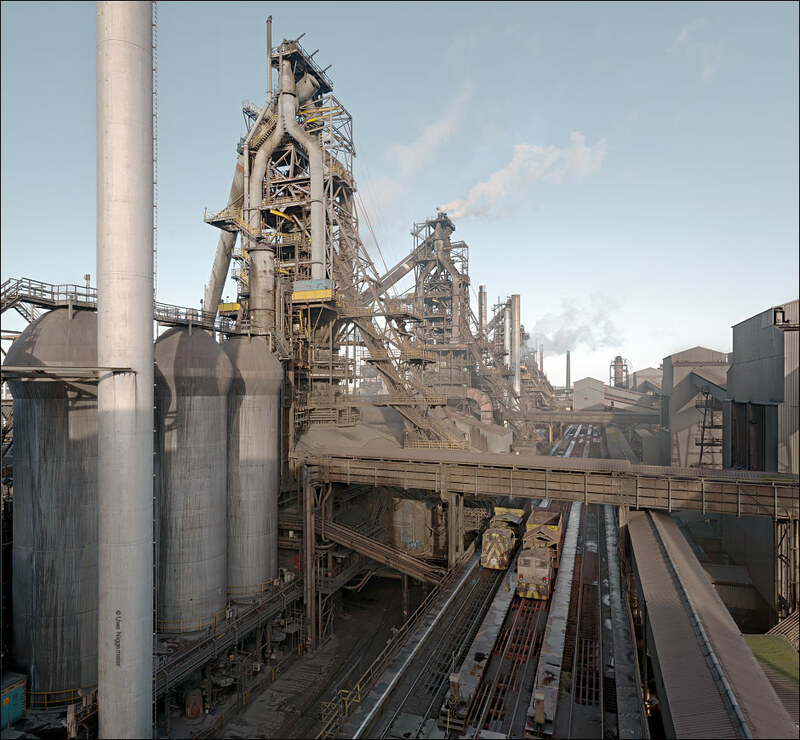 The Anchor project (1969-1973), one of the largest investments into the British steel industry ever, brought a new BOF shop, new rolling mills and the Immingham iron ore terminal by the Humber river. British Steel merged with Koninklijke Hoogovens from the Netherlands to form Corus in 1999. Eigth years later Corus was taken over by the Tata Steel group from India. Tata Scunthorpe today consists of 4 blast furnaces (three active) a BOF shop containing three 300 ton vessels, a slab caster, a bloom caster and three rolling mills (rails, heavy plate and wire). Posted on 12/02/2014 by U.N. Though largely downsized the Welsh heavy industry is still worth a visit. The old Abbey works in Port Talbot provide the largest BOF vessels I have seen so far and the longest serving hot strip mill in Europe. Three steel mills were built on the shoreline of Port Talbot south of Swansea, Wales over the last 110 years. The Port Talbot works were founded in 1902 by the Gilbertson family. The mill produced iron from imported pig iron in three cupola furnaces and ran an open hearth shop with two furnaces. The mill was shut down due to technical problems in 1903 and reopened in 1906 by the Port Talbot Steel Company Ltd. .
Two rolling mills and a new open hearth shop were built in between 1908 and 1914. In 1917 the plant became fully integrated with the construction of the new Margam site half a mile southward. Two blast furnaces , a coking plant and a new open hearth shop were built until 1922. In 1930 the mill became part of the GKB (Guest, Keen, Baldwin) Steel company. Main product were plates and rails. 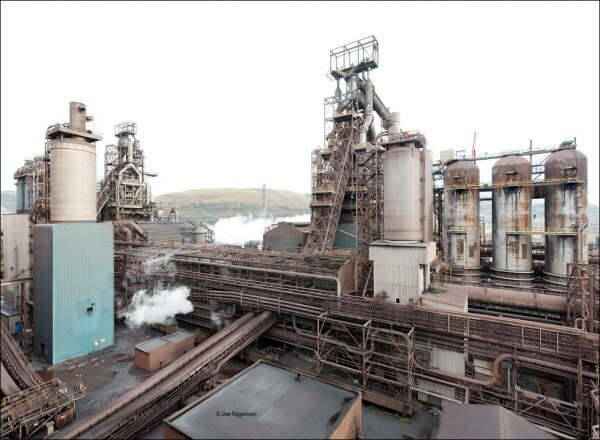 In 1941 a third blast furnaces became operable at the Margam site. All three blast furnaces were completly rebuilt after WW II. In the late 1940ies a plan to build a new huge integrated steel plant south of the Margam works the so called Abbey works was implemented. Centerpiece of the new site was a wide hot strip mill built by United Engineering of Pittsburgh and partly financed by funds from the Marshall plan. This rolling mill became operational in 1951. 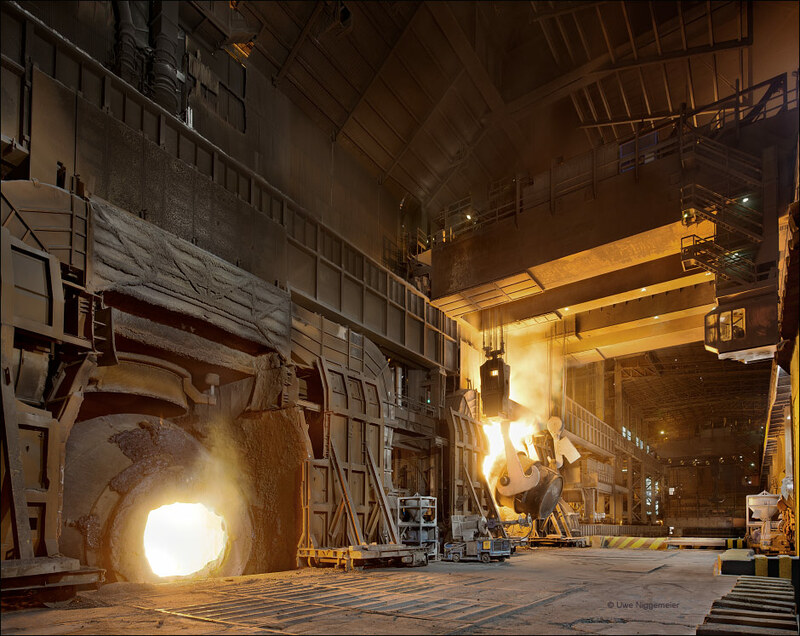 A new open hearth shop containing eight 200 ton furnaces started production in 1952. Two new blast furnaces were built on the site in 1956 and 1959 (No. 4 & No. 5). 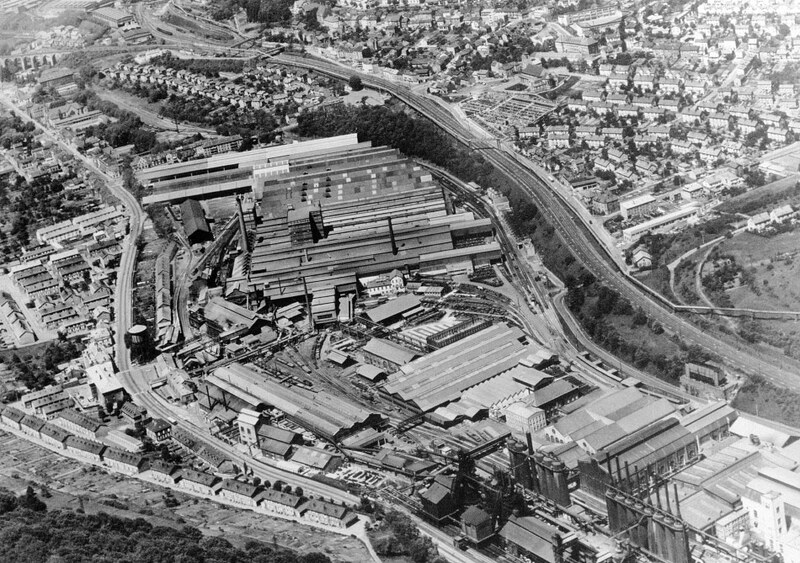 The Port Talbot works were closed down and dismantled in 1961 and the old Margam site followed in 1963. Only blast furnace No. 3 survived as a standby furnace and was relighted in 1991 for one year and has been dismantled recently. In 1967 the Steel Company Of Wales became part of the newly founded British Steel Corporation. In 1969 a new BOF shop providing two 300 ton vessels was installed replacing the old open hearth furnaces. The hot strip mill was widely overhauled in the late 1980ies (receiving a new roughing stand). British Steel merged with Koninklijke Hoogovens from the Netherlands to form Corus in 1999. Eigth years later Corus was taken over by the Tata Steel group from India. Blast furnace No. 4 was completly rebuilt in 2012. 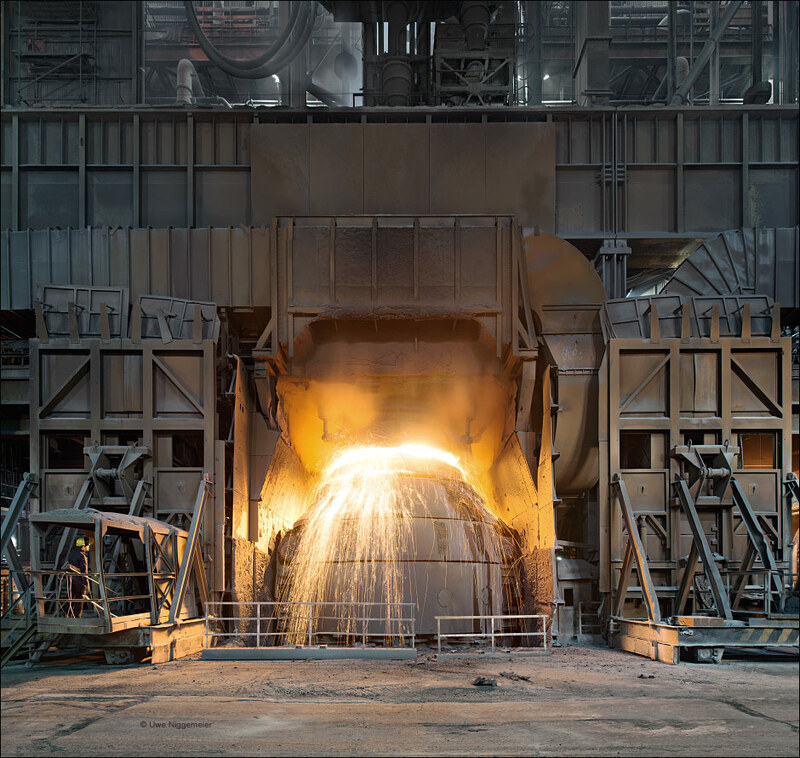 Tata Steel Port Talbot today produces hot and cold rolled flat products and supplies slabs to the hot strip mill in Newport, Wales. Posted on 23/11/2013 by U.N.
is the last rail mill in France. The former Usine Saint Jacques in Hayange, France was founded by the De Wendel family in 1892. After the closure of the iron and steel production in 1972 the rail mill was outsourced by USINOR (successor of the De Wendel group) in 1994 now called Sogerail and owned by Unimetal. In 1999 the mill was sold to the British Steel company from the UK to become part of the new Corus Group the same year. Since 2007 the rail mill in Hayange is called Tata Steel Rail and part of the Indian Tata group. Rails up to 108 meters in length can be produced. 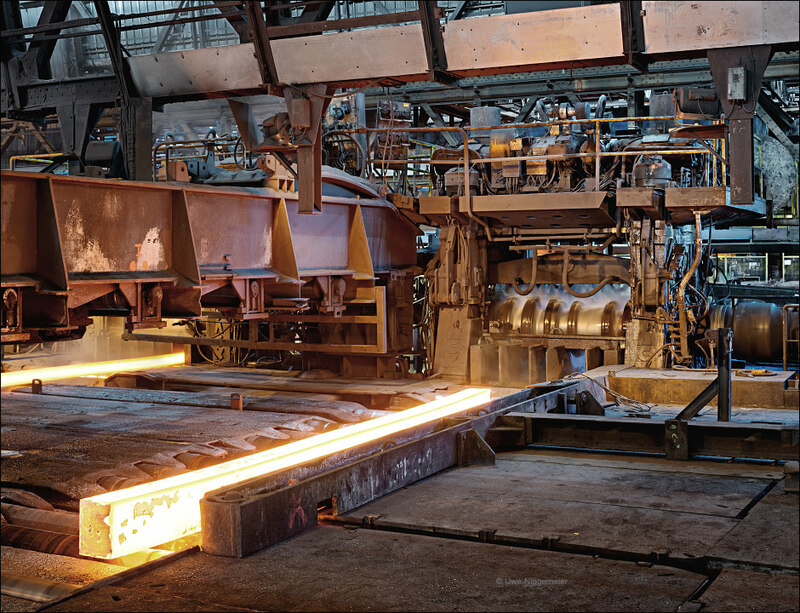 Billets for the rolling mill come from Tata’s steel plant in Scunthorpe, England.